I used to enjoy telling people I coached Beverley — and I did, in Year 10 English! The Wikipedia article there is very good, clearly written by someone who knew her well. 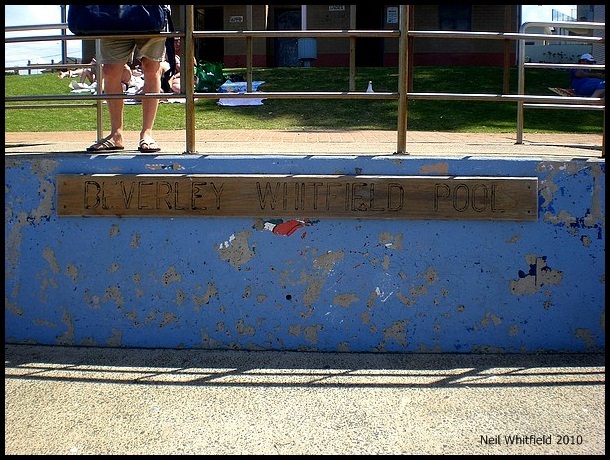 Beverley Joy Whitfield (June 15, 1954 – August 20, 1996 in Shellharbour, New South Wales) was an Australian breaststroke swimmer of the 1970s, who won a gold medal in the 200 m breaststroke at the 1972 Summer Olympics in Munich. She was coached by Terry Gathercole and Don Talbot. Her father Max was my cousin, so she was my second cousin then. Sadly she died suddenly of a heart condition in 1996. 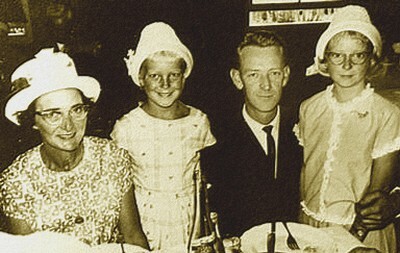 Marge, Beverley, Max, Margaret in the early 1960s. The pool as it was in my childhood. Salt spray and sun have faded this a bit. 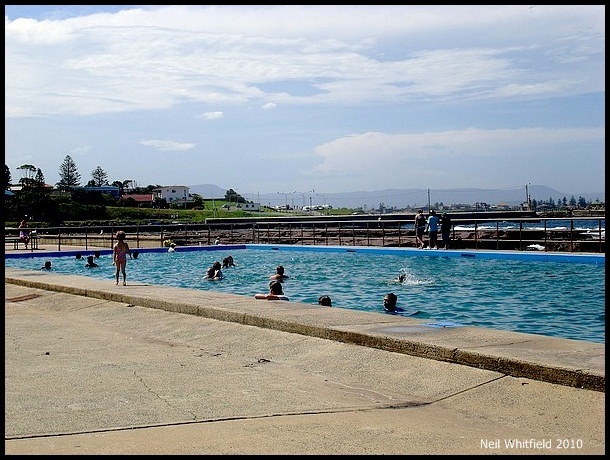 See for more information about Shellharbour and the pool Shellharbour – Beverley Whitfield Pool. This entry was posted in family, people, Shellharbour, summer, Summer light, Wollongong. Bookmark the permalink. I too remember her from my childhood in the area. Thanks for the old shots. Thanks for the photos. 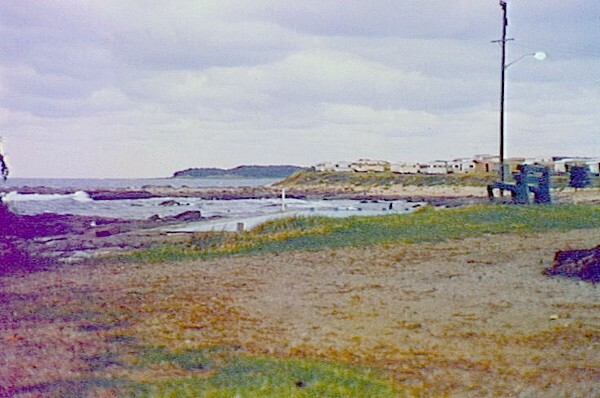 I grew up around Shellharbour. My parents were friends with Beverley’s family. The ‘Gerkes ‘ Beverley’s uncle and aunt used to mind me as a child and her uncle taught me to swim. I remember very well the excitement of her homecoming after the Olympics and seeing her medals. Her untimely death was very sad. Good heavens! If Una and Andy used to mind you maybe we even saw each other, as I was there reasonably often in the early 70s and much earlier too! I was at that homecoming in Shellharbour. It would have been the late 50s early 60 s. My parents were Pat and John Webb and lived around the corner in Addison street . I remember the boys ? Graham and Kenny and ‘Noona’ s (as I called her ) big laugh. Nice memories !